During a Surface Navy Association event, Adm. Christopher Grady, commander of U.S. Fleet Forces Command, said the U.S. Navy and industrial base need better flexibility to accelerate shipbuilding and maintenance operations, USNI News reported Thursday. 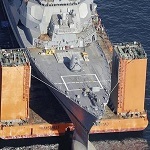 Grady noted the industrial base’s growth rate is not keeping up with the Navy’s maintenance demands, with the suppliers being “optimized for cost efficiency” as a result. 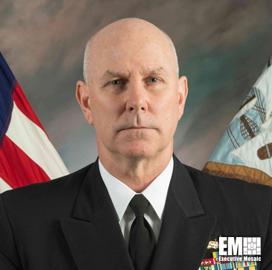 He added that uneven funding further complicates the Navy’s need to expand its capacity for modernization and sustainment. A report from the Department of Defense released in September states that the defense industrial base lost over 20,500 firms since 2000 and growing the number of firms involved in projects is crucial to maintain a healthy industrial base. Grady said the Navy could encourage more shipyards to compete for work by making efforts such as acquiring portable dry docks to be leased to shipyards.